Construction has been in Atec’s blood since before its founding in 1953. Our founders were principal participants in famous construction projects like the Astrodome, the Vehicle Assembly Building and Crawler at Cape Canaveral, the Johnson Space Center, AEC Nuclear Test Reactor at Idaho Falls, a Coca Cola bottling plant, and dozens of Petrochemical plants. In Atec’s early days, we built the original Tinker AFB automated test cells, upgraded the Corpus Christi Army Depot cells, accomplished the first overhead test A/F37T-10 at McClellan AFB, and put in service state of the art fighter engine test rigs from Edwards AFB to NAS Pax River to Fort Worth JRB. Vital Link, Inc. has joined our corporate team in 2017, with over 30 years of military construction history. VLI’s experience in hush houses and noise suppressors is world leading, with locations in Texas, England and UAE. Their field teams and large scale steel fabrication are highly respected. Beyond project work around the globe, Vital Link represents the USAF for noise suppressor repairs worldwide. Atec can undertake any AeroEngine Test Cell project. Our linkages to SMEs, niche subcontractors and the world’s largest engineering & construction firms are very strong. Atec has active relationships with all major aeroengine OEMs. Our company can design, build, or modify your test cell, and assist you in getting the approved OEM specific input and equipment required. We can coordinate all parties to assure that cost savings, quality, safety, environment, schedule and maintenance goals are achieved. More recently, our construction efforts have included paradigm shifts in facility technology. Atec innovated successful design modifications for two moved A/F32T-9 hush houses for testing the world’s best JSF/135 engines. Our Phoenix™ modular and single point lift facilities have been innovated by Atec for engine test cells and control rooms. Atec’s packaged utility systems for air, fuel, oil, and electric offer operating and green advantages. 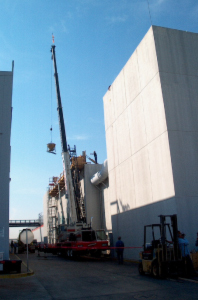 Our SuperLean TiltWall ™ concrete facilities made with proprietary formulations and connections offer non-corrosive strength, flexible usage, and high noise attenuation at low cost. Our renowned closed-loop 24/7 hotline provides our customers support with their urgent field problems, even after the sale. The tilt-wall construction of the 10-Meter Turbofan Engine Test Cell for Kalitta Air Cargo is just one example of the innovation that Atec offers its clients. 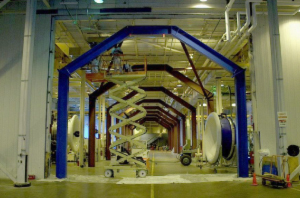 The standard U-shaped configuration houses a 10-meter by 10-meter cross section that allows the suspension of large bypass turbofan engines for testing. Kalitta provided many pieces of hardware for reutilization in the project, which involved detailed inspection, evaluation, cataloging, servicing, refurbishing, and implementation of each piece by Atec’s engineers and technicians to determine what could be used in the facility. 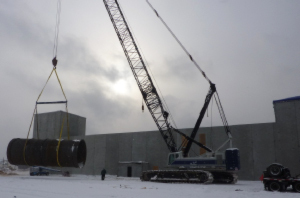 Reusing equipment, whenever possible, significantly reduced the overall cost of the project. Atec’s renowned checklists are utilized to make sure site surveys, design meetings, installations, startups, spares and maintenance schedules are comprehensive. Atec conducted a feasibility study, provided a conceptual design, and began construction using pre-engineered, pre-stressed, tilt-wall concrete panels atop a poured concrete foundation. 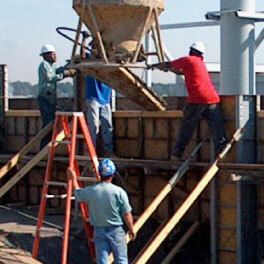 The on-site construction time of the facility was reduced by an estimated 50% using the tilt-wall (pre-cast) construction method, as compared to traditional poured concrete methods. Project and construction services have moved to an emphasis on joint planning, adherence to best practices and regulations, optimal results, and lasting customer satisfaction versus the older lowest bid method, where the interests of project parties can be inherently different. Collaborative efforts between User/Customer and Builder are now prevalent. Customer preferred application of health and safety requirements, environmental programming, community relations, labor and employment policies, insurance and legal needs, local supplier/subcontractor participation and financing preferences can all be carefully addressed as a team with Collaborative Contracting. Teamed scoping and estimating now begin most projects. Project management is continuous from scoping through completion and maintenance. Atec is experienced at design-build, project/construction management, Subject Matter Experts (SME) and architectural coordination, collaborative contracting, scheduling, site development, large fabrication, procurement, rigging, specialty subcontracting, inspection, integration, and commissioning to other project success. Kalitta Air Freight – Atec collaborated with Kalitta in a design-build project for a 10 meter test cell (Depot) in Oscoda, Michigan. Atec’s Super Lean 10M Tilt Wall cell offers masonry noise reduction, permanence, usage flexibility, and major cost savings to Kalitta. Atec’s ADAQ™ control system and software is now handling test runs for 5 different commercial engines. Tinker JSF A/F32T-9s – Atec performed a design-build project for two modified T9 Hush House test cells (Depot) for the USAF in Oklahoma City (OKALC). 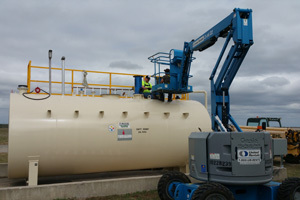 Atec coordinated disassembly and shipment from foreign and domestic locations, and reviewed site work and foundations by Downey Construction at Tinker AFB. Facility and utilities work were accomplished directly by Atec as prime contractor. Other subcontractors were coordinated. Numerous facility and systems innovations were offered by Atec to accommodate the incredible F135 engines. 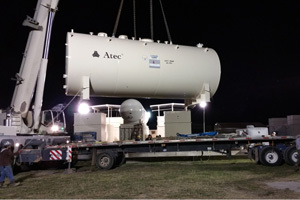 Delta Airlines/Pratt & Whitney – Atec was contracted by Pratt to turnaround a major jet engine test cell complex (Depot) upgrade project originally undertaken by Cenco. Atec oversaw and managed all technical aspects of the job in close coordination with Pratt, the site—work and structural (general) contractor, the doors manufacturer, the crane/rigging sub contractors, the mechanical and electrical sub contractors, etc. Test Cells 3 & 4 were enlarged and equipped to run V2500, CF6, CF34, JT9, PW2000, PW4000, CFM56-3, CFM56-7. The APU test rigs were modified, new doors, strong backs, and exhausts were installed, and a facilities control PLC system implemented. DAS and utility systems were also upgraded. Rolls Royce – Atec designed, constructed, and installed two of our Phoenix™ modular test cells for Roll’s A250 & RR300 turboshaft post production testing at their Indianapolis factory (Depot). These cells were built and fully tested at Atec’s plant, transported by trucks to Indianapolis. The foundations was then poured, and cells were installed and commissioned by Atec. These cells have been in service since mid-2008, testing engines daily, with minimal service calls in over 6 years to date. These cells utilize Atec’s state of the art electric dynamometer regeneration system, helping power Roll’s Indy campus during engine testing which often occurs during peak electric load periods. Burns & McDonnell –Atec was called in to verify correct quality and specification compliance on jet engine test cell systems and equipment under original contract from Burns & McDonnell to another test cell contractor. The equipment was later accepted and installed for the US Navy at Beaufort, SC following Atec’s efforts. Atec later built for Burns utilities systems—air, fuel, oil, electrical and tanks for Meridian and Kingsville NAS T-10 Hush Houses. Since then, Atec has been involved in numerous projects for the Navy at Jacksonville, Cherry Point, New River and China Lake. USAF– Atec was selected to complete a A/F32T-4 Hush House prototype modernization contract for the USAF/AETC. Atec is responsible for completing the design and providing most internal systems—mechanical and electronic, updated documentation and onsite installation/construction at Laughlin AFB in Del Rio, TX. Atec engineers have updated drawings, provided concrete analysis, supervised concrete work, examined conduit, and provided onsite field welding. Project completion is scheduled for Q2 2016. Kenyan Air Force- Atec’s subsidiary, Celtech Corporation supervised the construction of a concrete pad and sun shadees in Kenya for an afterburning jet engine test facility. Celtech then installed and commissioned a new T-20C test stand for J85-21 series engines. This J85 test cell provides the Kenyan Air Force with a modernized test platform, replacing the old equipment and analog gauges. The Kenyan Air Force received training on the equipment and how to perform functional engine runs. The national Commander attended the ribbon cutting ceremony to dedicate the test cell, and the project was completed in 2015. Royal Jordanian Air Force/Pratt & Whitney- At Azraq, Jordan, Atec oversaw and coordinated the logistics for the refurbishment of a test cell and the installation of a new test cell at the air base. Atec provided drawings, material, equipment and plans to renovate an existing facility, while utilizing some existing equipment to help control costs. 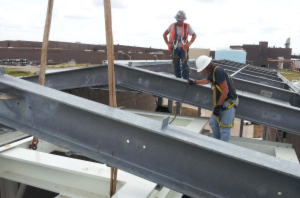 Our field crews provided onsite construction assistance and engineering for both cells. Atec trained the RJAF and commissioned the two test cells in 2015. Royal Saudi Air Force/Pratt & Whitney- Atec designed and built the structures, systems, equipment and instrumentation to interface and secure a new afterburning jet fighter engine in three overhead depot test cells. Construction involved using Finite Element Analysis (FEA) to review and design supplemental support structures and bracing for six augmentor tubes. Atec supervised local labor for the excavation, concrete pour and erection of the steel I-beam structures and bracing to support the augmentor tubes. Atec redesigned and installed a sewage uplift system, installed conduit runs and electrical panels, repaired the roof and fatigued steel grate sections, redesigned the actuator system for the test cell air inlet. Atec’s subsidiary, Celtech Corporation, supervised construction of the reinforced concrete pad for the outdoor jet engine test cells. Polish Air Force/Pratt & Whitney- Atec was selected by Pratt & Whitney for the design, fabrication and commissioning of a complete Production Acceptance Test facility upgrade including Depot and Intermediate Test capability for F100-PW-229 engines with fully automated data acquisition and automated test control system specified by Atec. This project consisted of a completely new engine adapter from the coupling plate down, a new stand-alone DAQ system, revamped fuel system complete with hot fuel supply and all associated cables/hoses/throttle systems. The test cell was initially configured for commercial CFM56-3 engine test, and we converted it to accept the military F100-229 engines without disturbing any of the existing CFM56 systems. We provided full integration by managing two major subcontractors as well as DAQ/PLC system integration and brick and mortar facility modification, removal, and reconstruction. Based on the success of that program, Atec was contracted for a second program to completely equip an intermediate-level T-10 Hush Hush test facility at Poznan, Poland. This effort includes all mechanical and electrical test support systems, plus and Atec compressed air start supply system and dedicated fuel supply system. Hellenic Aviation Industries/GE and Pratt & Whitney – Atec was called in by GE to take over the construction and completion of a 10 Meter (Depot) test cell for HAI near Athens in support of F110 testing. The project was behind schedule and they needed a company to come in and complete the project. Atec undertook structural, utilities, equipment and systems efforts. This included successfully troubleshooting and putting in service the GE data/control system, mounting a 100K thrust frame to the ceiling, completion of a roof top fuel control and oil storage system, and servicing (installing) the control room, interlocks, controls for doors, thrust frame and adapters, the fire, water fog and air start systems. The customer was pleasantly surprised that under Atec team involvement and leadership the project went from several months late to being nearly completed on the original schedule. Pratt & Whitney later called in Atec to adapt the cell for Pratt standards, systems and F100 engines. These modifications were accomplished successfully per GE, Pratt and Whitney and HAI. HAF/Pratt & Whitney – At Araxos, Greece, Atec reviewed all construction plans and installed a state of the art T20 type outdoor test cell (IM) for testing F100/229 engines by the Greek Air Force. Concrete work, large metallic work cover, modular utility systems, modern control cabin, leading edge AMETS 50K+ stand, and coordination with in-country subcontractors and government liaisons were all part of this best-in-class project for Pratt and Whitney. Czech Republic/Honeywell– Atec installed a T-20 system to test engines in the Czech Republic. Atec supervised the installation engineering, logistics, construction of concrete and steel improvements for operation and restraint in the test cell of engines under test. Full commissioning, training and onsite modifications were handled by the Atec field teams. T-9 Disassembly & Relocation– Atec disassembled and shipped a T-9 Hush House from Aviano, Italy to Tinker AFB. The project included specialty tools to be created, large cranes, high reach fork lifts and scissor lifts, and a large crew. Atec coordinated the logistics to get 22 shipments of equipment through foreign customs to the U.S., where it was then refurbished and re-erected at Tinker AFB to test the JSF. Columbian Air Force/GE – At Bogota, Celtech Corp. (Atec subsidiary) is completing a T700, T53 and PT6 test cells (Depot) upgrade for helicopter and trainer/transport engines. Celtech has updated the Data Acquisition and Control System to handle 3 different engine Configurations, on two different water dynamometers, running from one control room and one control system. Key engineers and field personnel have been in-country over a nine month period to date with extremely complex contracting, political and administrative issues handled successfully. Two of the engines are now testing successfully, with project completion slated for Q3 2016.